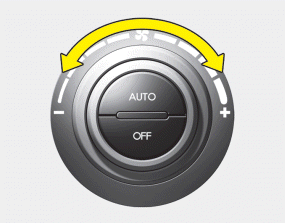 The fan speed can be set to the desired speed by turning the fan speed control knob. The higher the fan speed is, the more air is delivered. To turn off the fan speed, press the OFF button.